It’s hard to believe that a year has passed since the untimely death of Prince. Last year’s news was a shock that hit close to home. I’m from Minneapolis, where it seems like everyone who loves music has some personal connection to the musical genius of his generation. I have friends and acquaintances from back home who played on his tracks, danced in his videos or were in the loop for invites to the many late-night impromptu concerts at Paisley Park. My personal connection was a little more oblique. My dad taught Prince in junior high school, and founded and coached his basketball team. I grew up hearing many times the story of how my dad provided his star point guard with the sensible but thankfully unheeded advice to focus on school, because a career in music was a long shot. I was twelve years old when Purple Rain came out, and the soundtrack of my adolescence was in large part a long string of Prince hits, made all the more personal because this superstar grew up a mile from my house, and never seemed to leave town for long. The Minneapolis Sound, the funk genre Prince pioneered, dominated the airwaves in the ‘80s, not just in the work of local artists, but woven into hits by Janet Jackson, Sheena Easton and many others. It made my hometown feel like the middle of the world, not the middle of nowhere—no small feat. This is all a way of saying that a coincidence of geography and timing made it so that I probably paid more attention to the arc of Prince’s career than that of any other artist, and I noticed many things that set him apart that went beyond music. Reflecting on that career through the lens of communications, it’s clear that as much as music, Prince was a master of brand. After all, how many people in human history can be immediately recognized by an unpronounceable symbol? It takes some audacity for a 5’3” kid from the Midwest to step on stage in a ruffled shirt, sequined purple suit and platform heels, but it’s a look you never forget. We often meet with clients and prospects who want to stand out in their markets, but resist taking the steps necessary to do so. The concept of differentiation is central to branding, especially in consolidating fields such as law. Clients hire firms based on specific needs. The better a firm’s brand embodies what makes it special, the easier it is for the client to find and hire them. To do that effectively, firms need to move beyond five-names-on-the-door convention and laundry list CVs. Every aspect of a firm’s brand, from its name and visual identity to its website user experience should demonstrate its core differentiators—what makes it unique, and the right fit for a specific matter or subject. Over more than four decades, Prince’s look and sound changed constantly. 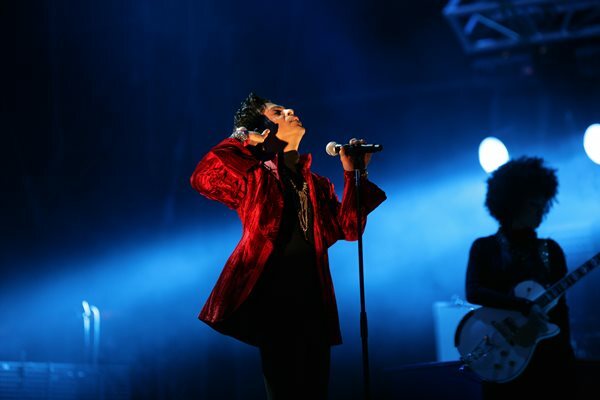 While most artists eventually settle into stable and lucrative greatest-hits tours, Prince never stopped innovating, right up to his final shows. It’s easy for even the most successful companies to rest on the laurels of past success, but staying on top means staying up-to-date, and always with an eye on the future. An effective brand is an active brand, always responding to the latest communications channels, integrating fresh concepts and new technology. That doesn’t mean a complete overhaul every other year, but continual attention to ensure images, references and functionality are current is critical. Staying on top of the latest communications technology, including things like augmented and virtual reality, also signals that a firm is forward-thinking, not reactive—a trait clients notice. Prince had many legendary performances from the epic 13-minute debut of “Purple Rain”, to the best-ever Superbowl halftime show, played in a downpour, of course. But one of my favorites is the 2004 Rock and Roll Hall of Fame tribute to George Harrison, where he shares the stage with several rock icons. After lurking in the shadows for most of “While My Guitar Gently Weeps”, he steps into the spotlight and puts on a guitar master class. By the end, there was no doubt who was the best of the best. Professional services firms are often reluctant to trumpet their own success, preferring to lean on external awards and accolades as credentials. Promoting wins does not mean blatant chest-thumping, nor should it. But there are many ways a firm’s capabilities and successes can be integrated tactfully into its media relations, marketing and brand presentation. If you really are the best at what you do, an effective brand strategy will continually underscore that fact and build on it. Prince may have been quiet and reserved in private life, but on stage, he never held anything back. Steven Andersen is Vice President for Content and Client Strategy at Infinite Global. He is based in New York.